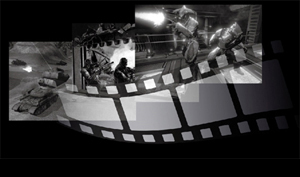 A graphics card is the single most important element for more FPS. As gamers, we understand that not just any graphics card "will do." That's why we bring you the best of the best. We don't want to bug you with noise and heat, but we DO want to give you more performance. 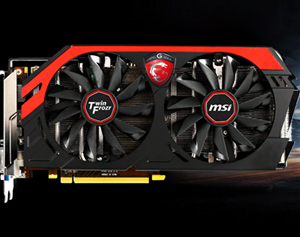 With MSI GAMING series graphics cards, you get just that. 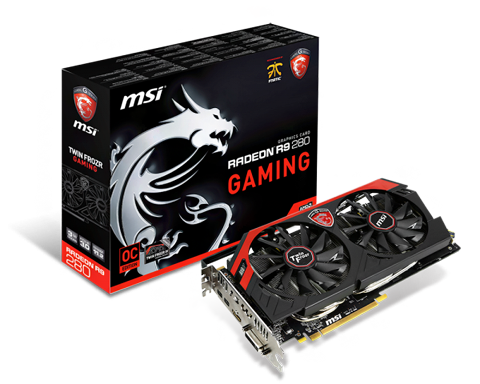 Most MSI Gaming graphics cards come pre-overclocked from the factory. This simply means you get more performance out of your card without spending any time on checking for maximum clocks and stability. Pre-overclocked graphics cards simply give more performance and you don't have to worry about damaging your card, it is completely covered by our warranty! Tune up core clock and fan speed to gain a best performance. Provide a stable gaming experience with higher core clock. The best operating environment with fabulous low noise. Futhermore, MSI provides all new Airflow Control technology on the Twin Frozr. This new thermal technology leads airflow to the heat pipe by a special deflector on the heatsink, so it can increase the flow of air directly. In addition, this exclusive heatsink design increases the area of the heatsink to enhance dissipation even more. One of the deciding factors in performance is the quality of the components used. 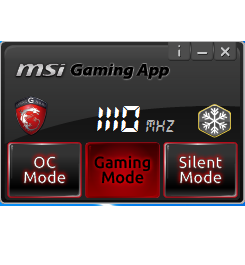 That is why MSI only uses MIL-STD-810G certified components for its Gaming cards because only these components have proven able to withstand the torturous circumstances of extreme gaming and overclocking. With their aluminum core design, solid caps have been a staple in high-end mainboard designs and provide lower Equivalent Series Resistance (ESR) as well as an over-10-year lifespan. A Hi-C Cap is a very small, but super-efficient capacitor. Besides ensuring enough spacing around a CPU socket to install large coolers, it also allows for 93% energy efficiency. Thanks to Hi-C Caps, MSI's mainboards are the most energy efficient in the market. It's a new generation, form-in-one choke, which doesn't generate vibration noise under heavy loads & provides 37.5% higher current output comparing with traditional ring chokes. This is very important when your GPU is overclocked or under high loads, since it requires even more electricity. 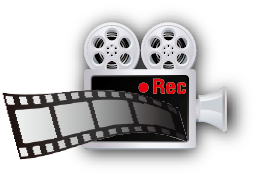 A built-in screen and video capturing tool named Predator which captures your screen as still images or videos with the push of a button and allows you to capture and record your coolest, goofiest, and most awesome gaming moments on your PC! 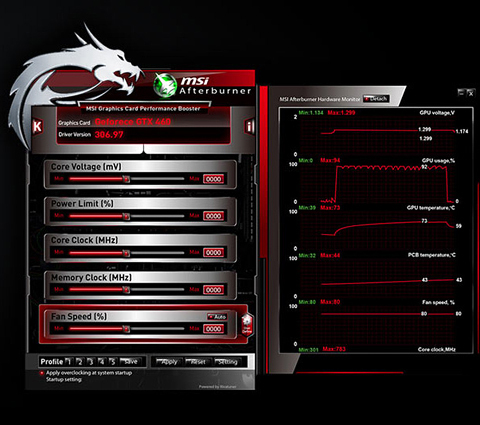 MSI Afterburner has quickly become the favorite overclocking software for media, overclockers and end-users. Because of its simple interface, it's easy to learn, but it packs a lot of powerful features like an integrated benchmark utility - called Kombustor - that can check your system performance in benchmarking mode, or run as a stability test. Even better, you can run Afterburner straight from your smartphone! 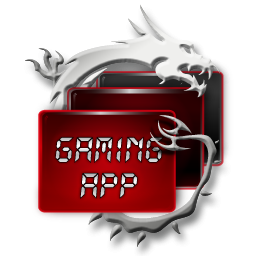 Download the MSI Afterburner App from Google Play or the Apple store and start overclocking. Dual 10CM PWM controlled fans with Propeller Blade Technology. Airflow Control Technology optimizes efficiency of heat pipes. Pros: remained cool and quiet. I didn't goof with the fan setting much. I ran the clocks at whatever the default setting was at 950/1200. Decreased my load times quite a bit. Most noticeable in Bioshock: Infinite. Cons: The length of the thing. I practice bad cable management. Trying to dock this thing is like taking a stroll through Jumanji. Other Thoughts: Started crashing during my gameplay. Complete gray or black out. I have to hold the reset button down. Took a look at the card while it was running. One of the fans was twitching. Who knows how long? I cleaned it which revived the fan. Still seems to spin a smidge slower. Crashes are still there.. Started noticing artifacts about a year ago.. I should of hit up MSI.. I never overclocked it. Operated way below oem recommended temps. I expected more life out of this product. Pros: It lasted over a year. Pros: Have not had any issues with the card in the 2 years that I have owned it. Still able to play many games in 1080p. 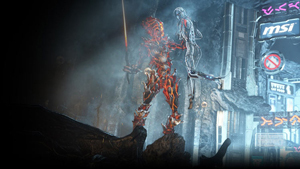 Games run perfect under 720p. Cons: it's a very long and thick card. I'd make sure there's enough clearance in a case for it. I personally have a full tower atx so I haven't experienced any clearance issues, but in my friends mid-tower atx; it barely fits in there. 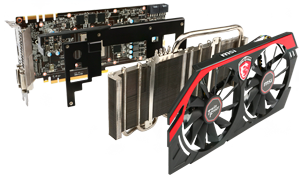 Pros: This card will handle most games in ultra, however Battlefield 4 is limited to high at 1080p. Also when it is pushed it remains cool at under 50° C.
Cons: I don't have any cons to report on this card. Other Thoughts: This card has been reliable for nearly 1 year and if it were still available I would recommend it to others. 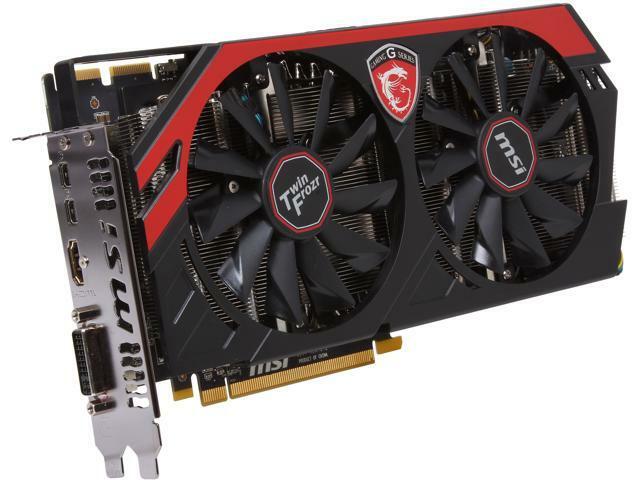 Pros: it is the card that I put in a 600$ component budget build (not OS) mind you I paired it with an fx 6300 and (i haven't given this card a hard over clock only a slight one). the combo of those 2 has allowed this game to run far cry 4 at ultra at about 45 to 50. it maxes MMO'S. 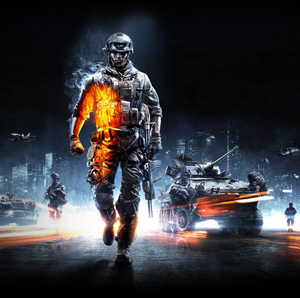 maxes BF4 at about 70. skyrim maxes. Pros: ok lets start off with the overclocking i got this card to 1220 and 1430 to the memory this is some crazyyyyy overclock.stable............this card is a really good card, here is my temps 140f and overclock 154.not bad at all lol.allso this card is a little loud if u ramp it up pass 70% fan speed. Cons: i wish there was a backplate.all so this card is voltage locked so dont even try lol.all so there was some odd things with this card.every now and then i would ge a odd black and white lines across the tscreen.odd right.all so i look into the card and there is not a direct contact to the main cooler and vram.so i would get some odd artifacting in games.but this is still a great card this is my asic quality 54% but this card still overclocked like a beast. Pros: I'd used it ten months. It work nice with E3-1220 V3 and play games so good.